Having just ushered in a new year, many people have crafted resolutions to ensure they’ll look and feel their best in the coming months. If you’re a fan of a luxuriant landscape you can do the same for your home, setting resolutions to improve your grounds in the coming months. You can consult with a local landscaping company, letting them do the work while you enjoy the lush results. Or if you’re a hands-on homeowner, here are 5 tips to turning over a landscaping leaf in 2019. Get that verdant lawn you’ve always wanted, unmarred by crabgrass, weeds or bare spots. Embrace an indoor-outdoor lifestyle, bringing more nature and space into your day-to-day life. Add a showcase tree to your yard like a paloverde, honey mesquite or willow. Investing in outdoor furnitures, such as a shaded table where your family can enjoy al fresco dining. Working with landscapers skilled in masonry to create an outdoor cooking area or places to luxuriate such as a firepit with built-in seating. Introducing shade structures and water features to beat the summer heat. Illuminating your yard in functional and creative ways. We all keep track of what we need to do in different ways. We might jot down reminders on a wall calendar, affix a list to the fridge, use a leather-bound planner or use a scheduling app. If you have a green thumb, you can add dates for planting various vegetables and herbs. The National Gardening Association has set up a helpful guide with timing recommendations for gardeners in regions throughout the United States. This includes advice on gardening in the St. George area. Use organic products to fertilize your grounds and control weeds and pests. 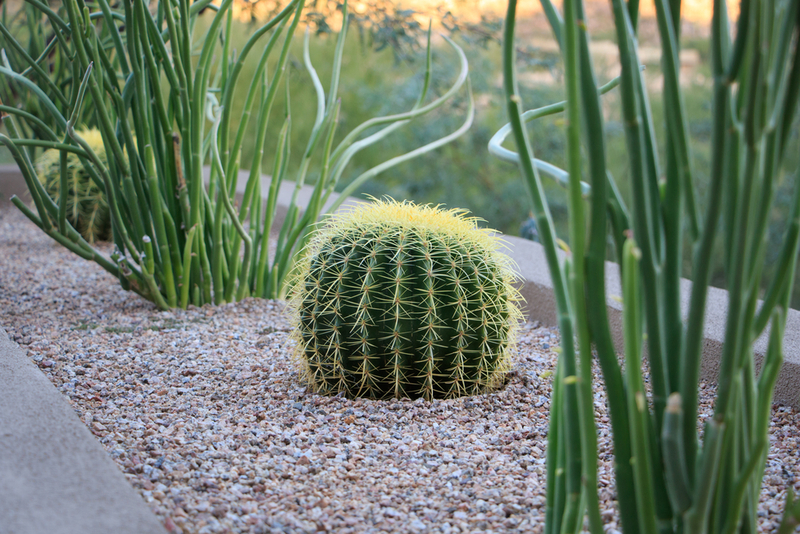 Make your landscape water-wise by introducing drought-tolerant plants, mulching and replacing thirsty areas with landscape rock or hardscape. Sustain pollinators like local birds, bees and other insects by cultivating nectar- and pollen-rich plants. When it comes to New Year’s resolutions, the best way to build momentum is to get off to a running start. It’s late winter in St. George, an ideal time to prep for spring by revitalizing your lawn with a pre-emergent fertilizer. Pre-emergent herbicides kill new weeds before or as their seeds germinate, preventing them from becoming an issue in summer. They’re especially effective at combating lawn pests like spurge weed as well as weedy grasses like crabgrass and purslane. Pre-emergents are frequently paired with a fertilizer rich in elements like nitrogen, phosphorus, and potassium to feed your lawn during the upcoming growing season. In the St. George area, you can apply pre-emergent fertilizer once temperatures have settled at around 55 degrees. If you’d like a vivid reminder of when to embark on your “weed and feed” program, these conditions coincide with the brief period when area forsythia shrubs burst into golden bloom. To apply your pre-emergent fertilizer, simply spread the product as directed and then water to activate it. If you want the nutrients to be properly absorbed, you may need to prep your lawn by aerating and/or power-raking your lawn to break up built-up thatch or compacted soil. Revitalizing your landscape needn’t cause overwhelm. Just focus on one or two goals toward improving your grounds and you can make significant progress in 2019. If you want the yard you’ve always dreamed of but don’t want to go it alone, contact us for a free estimate.